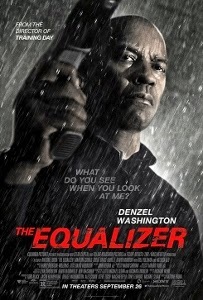 Based on a forgotten late-‘80s TV series of the same name, The Equalizer stars Denzel Washington as Robert McCall, a retired government agent who now works at a Home Mart hardware superstore. Directed by Antoine Fuqua (who previously directed Washington to a Best Actor Oscar win in Training Day), the film is satisfyingly long on action but disappointingly short on plot. 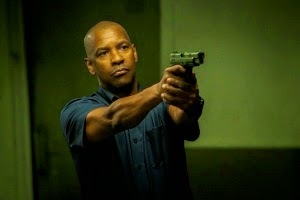 At 131 minutes The Equalizer leaves too many questions unanswered, especially when it comes to Robert’s mysterious background. It’s not without fun moments, and Washington is as charismatic as usual, but this is decidedly B-movie material dressed up to feel more important than it really is. After witnessing the mistreatment of a teen prostitute (Chloë Grace Moretz) he has befriended in a diner, Robert seeks to free her from control of the Russian mafia. Ringleader Slavi (David Meunier) turns out to be a tough nut to crack and Robert makes a mess of things. These were no low-ranking soldiers and big boss Vladimir Pushkin (Vladimir Kulich) demands that the meddling Robert be eliminated for taking out his men. Realizing he’s in deeper than he initially expected Robert must seek the blessing of a pair of former government associates (Melissa Leo and Bill Pullman, both inexcusably squandered in underwritten, cameo appearances) before he can fully retaliate against top Russian mafia brass. Washington and Moretz have some nice moments together early on before she’s unfortunately cast completely aside (her character winds up hospitalized before vanishing for most of the story). A subplot involving a Home Market co-worker named Ralphie (Johnny Skourtis) turns unintentionally comical as Robert trains him to be a security guard. Officer Masters (David Harbour) is a dirty cop working with the Russians who meets the business end of Robert’s black ops skills. Each of these elements provides juicy moments, but they seem to exist as independent vignettes rather than as part of a larger whole.